Among the graduates, four have now gone on to take up employment at the bank. One of these new employees is 17 year-old Kyle Darby from Flagstone in Queensland. Kyle heard about the opportunity at ANZ from his school’s liaison officer at a time when he was struggling to stay motivated at school. “I was looking at a traineeship in carpentry to get out of school when the liaison officer told me to have a go at the AES traineeship with ANZ, I sent in my application and was successful with it, since then I haven’t looked back, I’ve loved it,” says Kyle. After settling in at work immediately, and quickly progressing in his role as bank teller to take on other responsibilities, Kyle says that doing the traineeship with the support of the AES completely transformed his engagement and performance at school. “As soon as the traineeship started my motivation jumped; I had something to look forward to everyday,” says Kyle. The AES Indigenous school based traineeship program provides young Indigenous Australians with the opportunity to work at ANZ while they are still at school. The traineeship takes two years to complete, equipping students with the skills and experience necessary to help them complete their education and gain entry into the workforce. To complete his traineeship, Kyle worked at his local ANZ branch one day a week during school term, and also opted to work full-time during school holidays. Kyle has now been offered an ongoing position at ANZ and is also headed to University where he plans on studying a Bachelor of Commerce, majoring in financial planning. 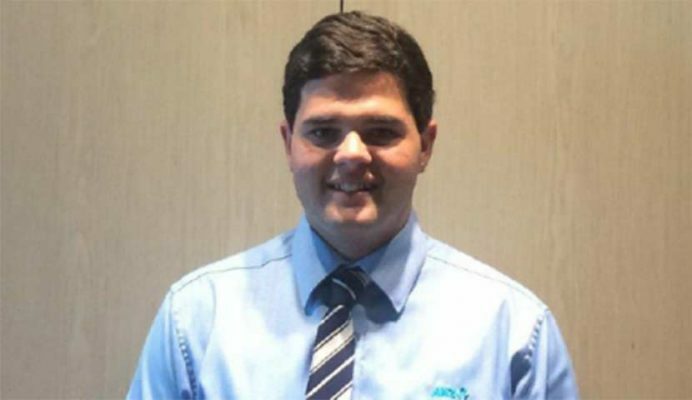 This year, Kyle has also been the recipient of several major training awards, being named the Scenic Rim Trainee of the Year and winning the School Apprenticeship Trainee Award. Having helped coordinate the ANZ’s school based trainee program with the AES for the past three years, ANZ Careers Development Manager, Jenny Boss, says the success of the program and the recent 100% completion rate can be attributed to the strong working relationship the bank shares with the AES. “This year, all our students completed year 12 and, more importantly, they completed all of their modules, all in a year where we had RTO changes, and the AES jumped on it, put plans in place, and it’s just been a great collaboration in getting these kids back on track,” says Jenny. The AES is ANZ’s first partnered GTO (Group Training Organisation), the two organisations having begun their collaboration in supporting Indigenous trainees in 2004. ANZ has a target of 100 Indigenous traineeships each year, with several of those traineeships being offered in partnership with the AES. On average, 60 Indigenous school based trainees are employed at ANZ each year nationwide, with Personal Banking traineeships making up the remaining quota of available traineeships. Today there are many ANZ employees across the country who have come through the AES’ Indigenous trainee program, including former school based trainees who have now been with ANZ for over 10 years. Some of the 2015 graduates may well go on to establish long lasting careers at ANZ or utilise their skills acquired through the traineeship to achieve success in other jobs and careers. For Jenny, one of the most rewarding aspects of her job is getting to see the trainees on their graduation day and celebrating their success. Having been in close contact with Kyle during his traineeship, she is also particularly proud of what he’s been able to achieve in such a short time. “Kyle has been an absolute pleasure, he’s self-driven, and I think that’s important in terms of a trainee,” says Jenny. Pictured: ANZ Indigenous School Based Trainee Program Graduate, Kyle Darby.